The Pepperoni. Didn't make Number 1. But a fine pie. 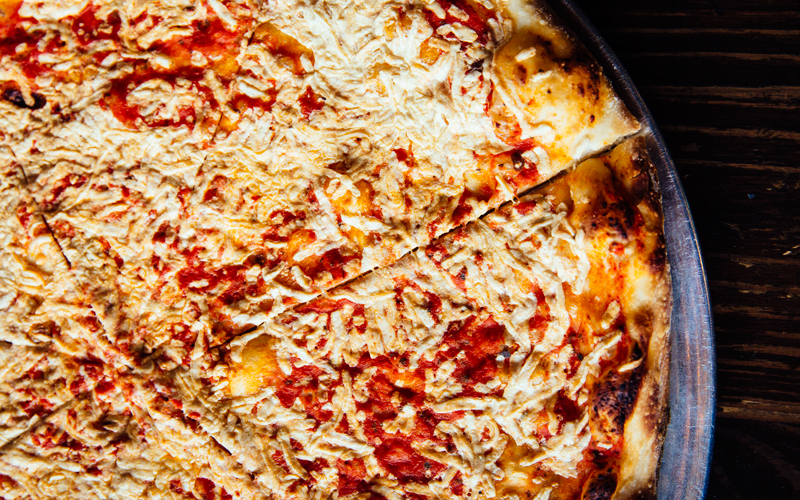 L.A. is not considered a pizza city. Not like Chicago or New York. 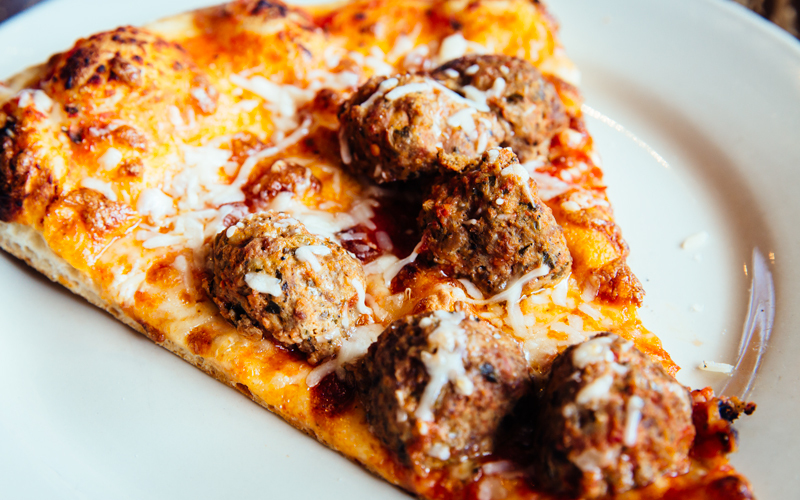 But it can be argued that we do have a our own style of pizza here, which can best be described as “anything goes.” Such is the style of pizza at Pizzanista! in DTLA and Long Beach. Though some of its pizzas are unconventional, every pizza from Pizzanista! 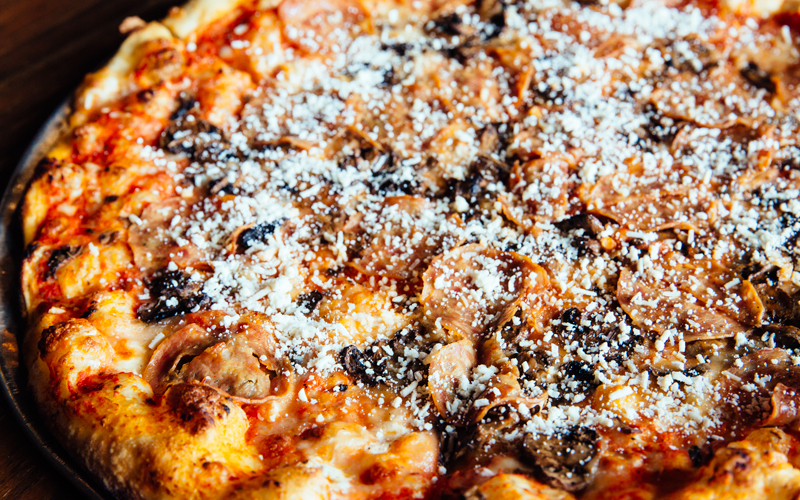 has all-natural toppings, fresh homemade sauce, and a crust that’s crispy, chewy, and a little bubbly. 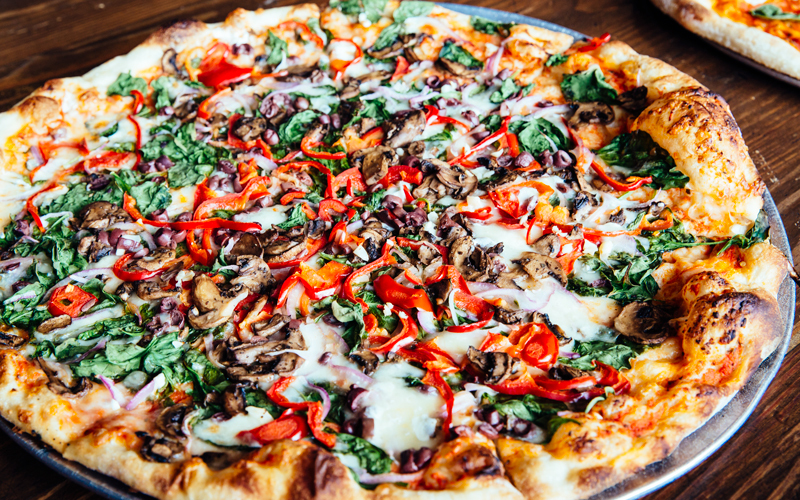 In addition to the daily pizza menu, which was created with the help of Sotto’s Steve Samson, Pizzanista! has weekend brunch, vegetarian, vegan, and gluten-free options. We tried the entire menu, slice by slice, because someone has to do God’s work. If you want to know what elevated stoner food looks like, look no further. 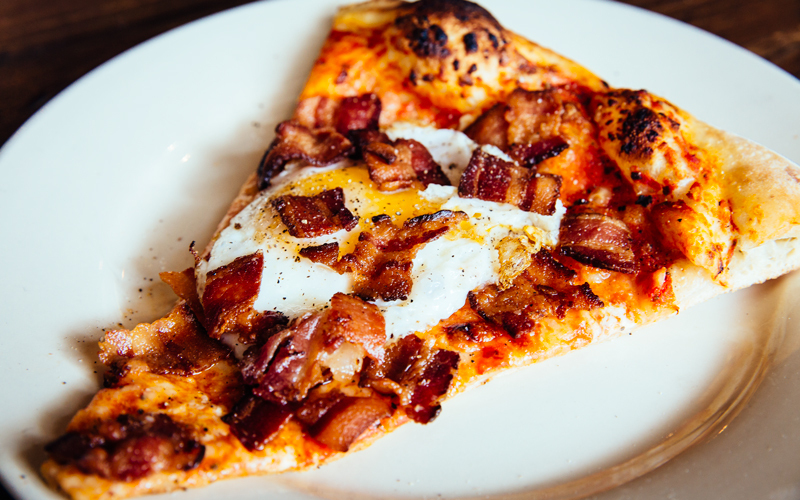 The Rise & Shine is a combination of three of the best things in life: crispy bacon, a runny egg, and pizza. It’s a plate of joy. Don’t even think about skipping the crust. You can use it to sop up the all the yolk. 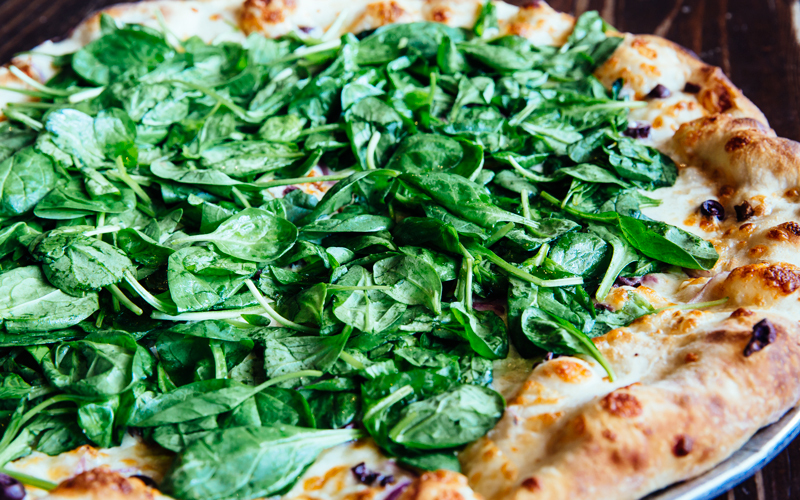 Simplicity is what makes this pizza so good–that and having the perfect amount of quality ingredients. The mathematicians at Pizzanista! have discovered the golden distribution ratio of sauce, mozzarella, Grana Padano, and basil. 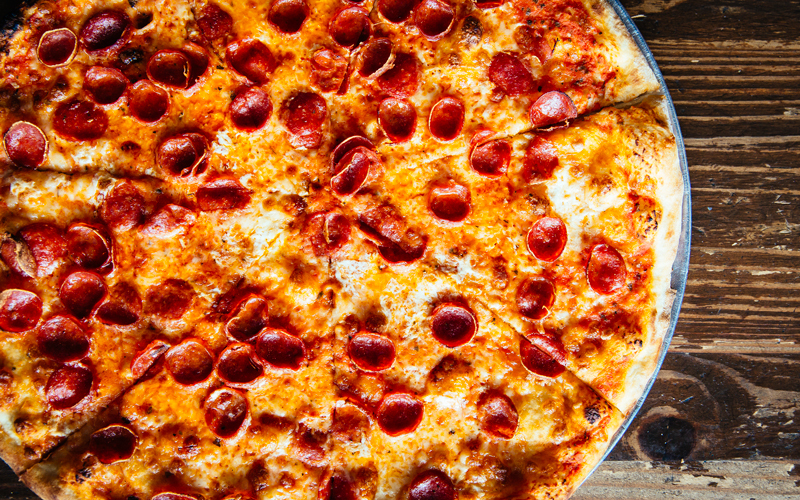 Pepperoni holds the title for America’s most popular pizza topping because it’s always good. 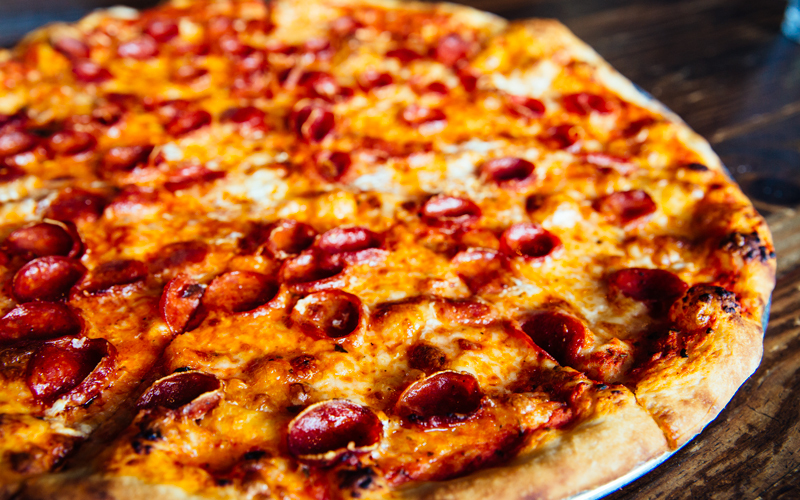 That’s especially true for Pizzanista!’s Pepperoni, which is particularly zesty and well-seasoned. 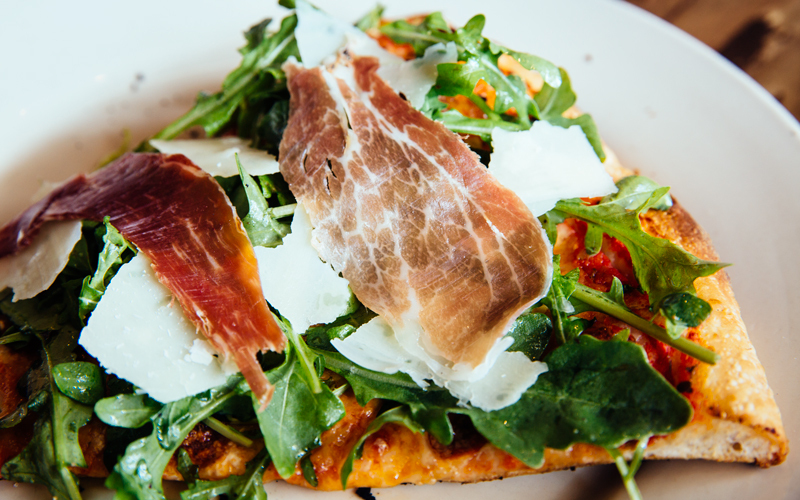 Salty prosciutto, peppery arugula, and shaved Grana Padano cheese give this pizza multiple layers of flavor, which are all heightened by hints of lemon and olive oil. 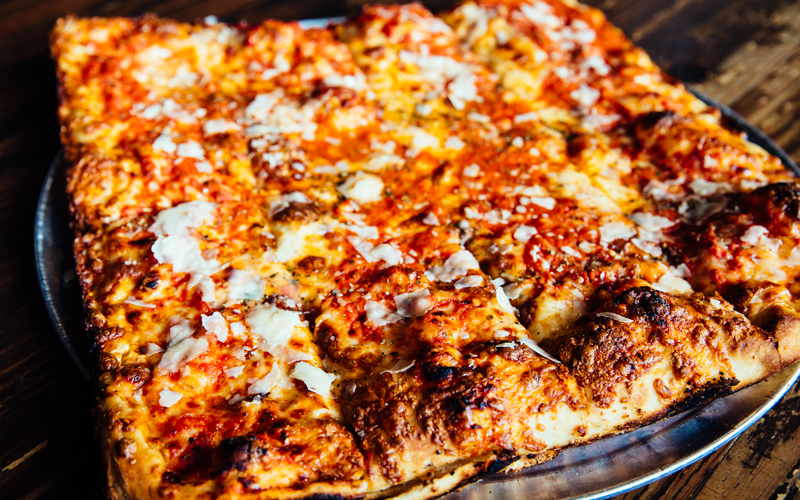 Sicilian pizza isn’t your typical fold-in-half kind of slice. It has a more hearty crust that provides a big satisfying crunch when you bite. A slice of cheese pizza is a perfect pizza canvas, and it’s also awesomely delicious on its own. 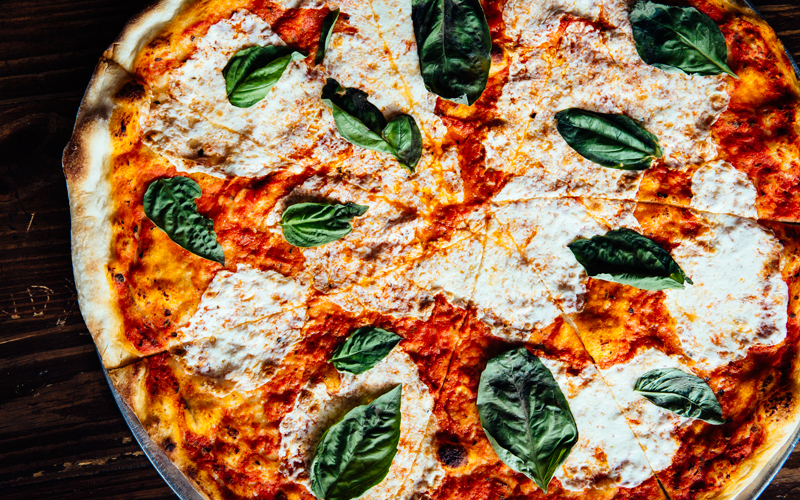 The fresh mozzarella and Grana Padano are rich and full of flavor. If you believe everything you saw in the documentary What the Health, then this pizza will surely kill you. Even its name alludes to impending death. But really, it’s not such a bad way to go. 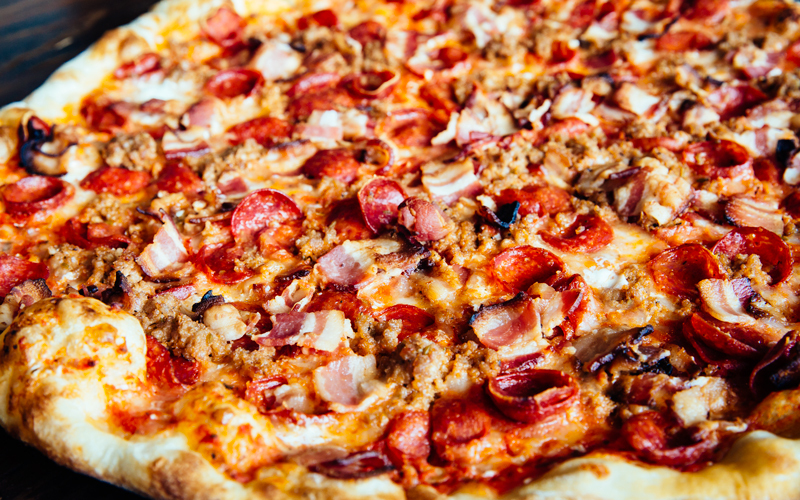 The pepperoni, sausage, and bacon are salty, chewy, crispy gems on this protein-rich slice. 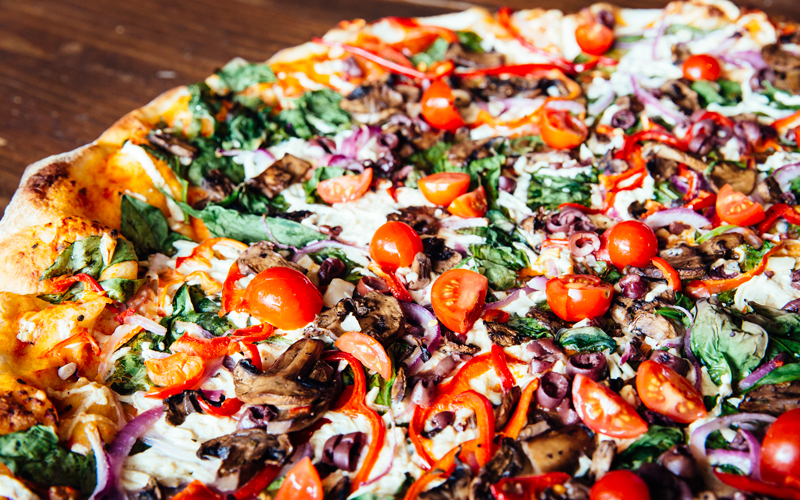 The cheese melds all the fresh, vibrant veggie flavors together. 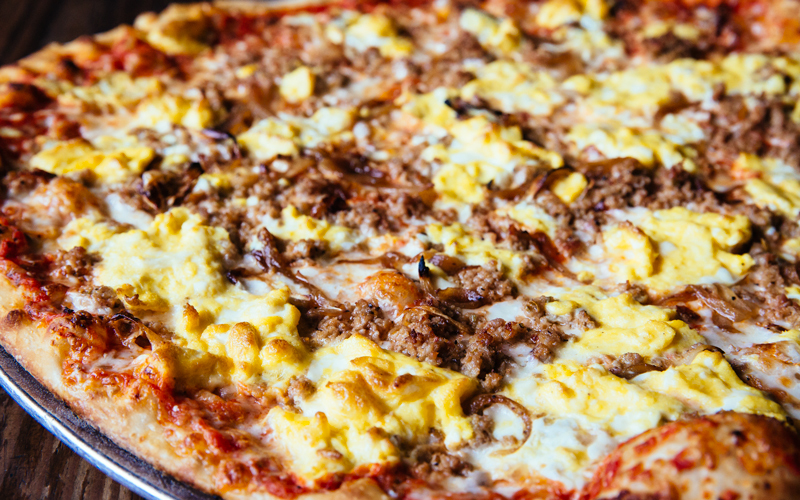 Flavorful little nuggets of sausage, creamy eggs, and caramelized onions are piled onto this pizza. Think breakfast burrito. * Available only during brunch on Saturday and Sunday 11a.m. to 3p.m. 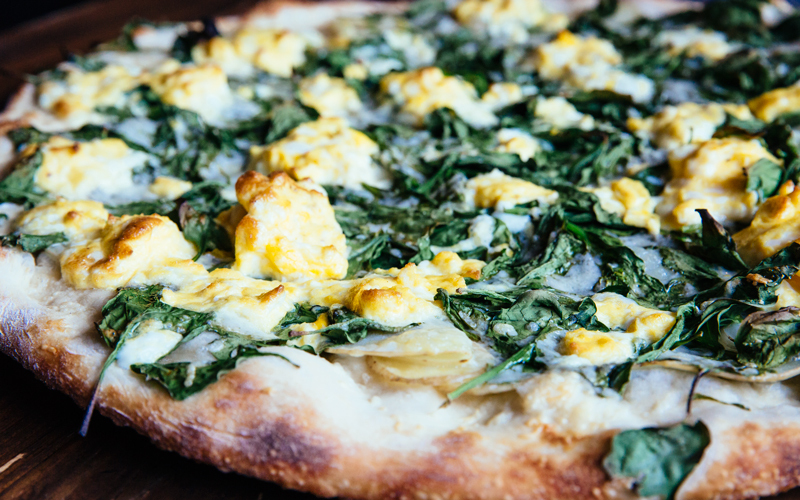 The flavors of this pizza are aggressive–in a good way. This is the best vegan pizza on the menu. 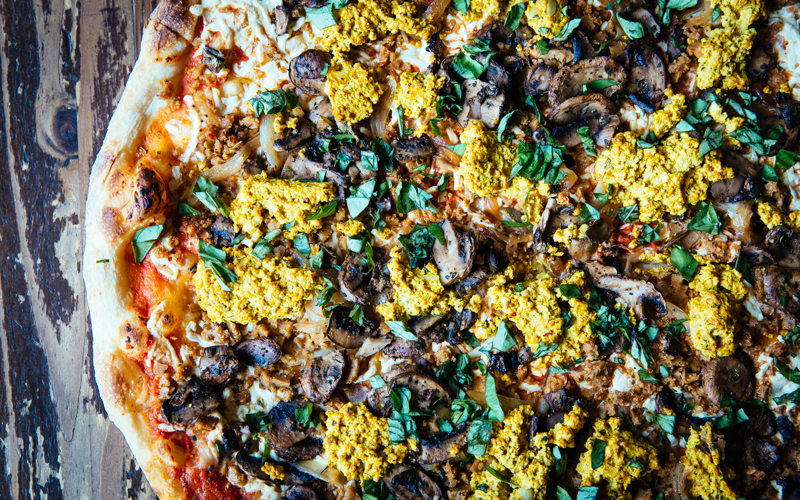 It’s topped with vegan cheese, caramelized onions, mushrooms, basil, vegan sausage, and puffy egg-like tofu clouds. 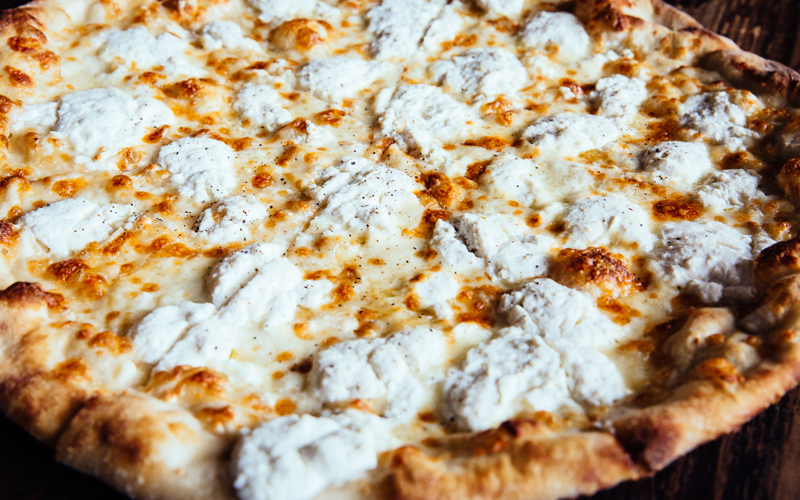 Big globs of creamy ricotta cheese are scattered all over this pizza. The milky, slightly sweet flavor is very mild, so keep the red pepper flakes nearby, and sprinkle generously. Vegan cheese is notoriously un-meltable, which is noticeable on the vegan cheese slices. It doesn’t have quite the same irresistible flavor as real cheese, but it’s a good no-frills vegan option. We have Max Chow (of Mr. Chow fame) to thank for the recipe for these meaty balls. They’re big, herby, and indeed meaty. 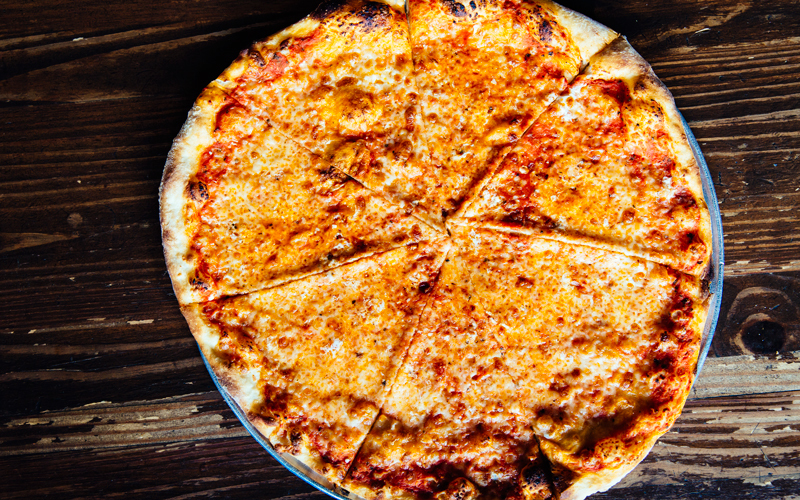 A plate of spaghetti would do well as a side dish with this pizza. 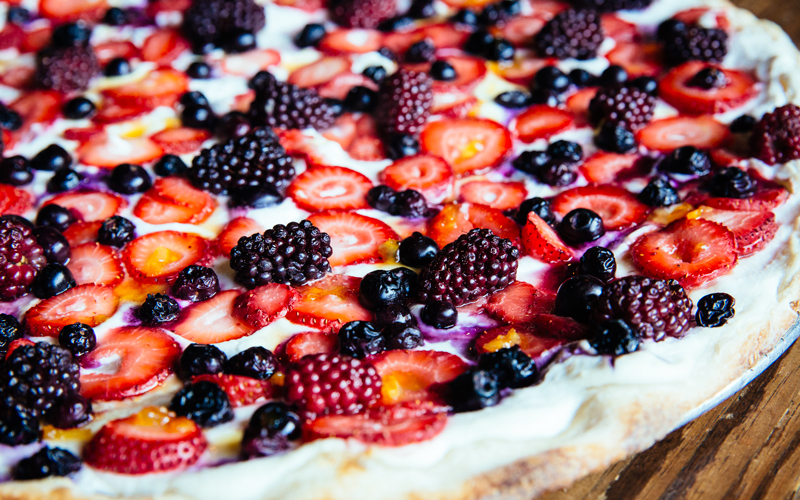 This brunch pizza is speckled with blueberries, strawberries, and blackberries with a bright orange marmalade and honey drizzled on top. Don’t think of this as a dessert pizza. The flavors are more light and crisp than heavy and sweet. 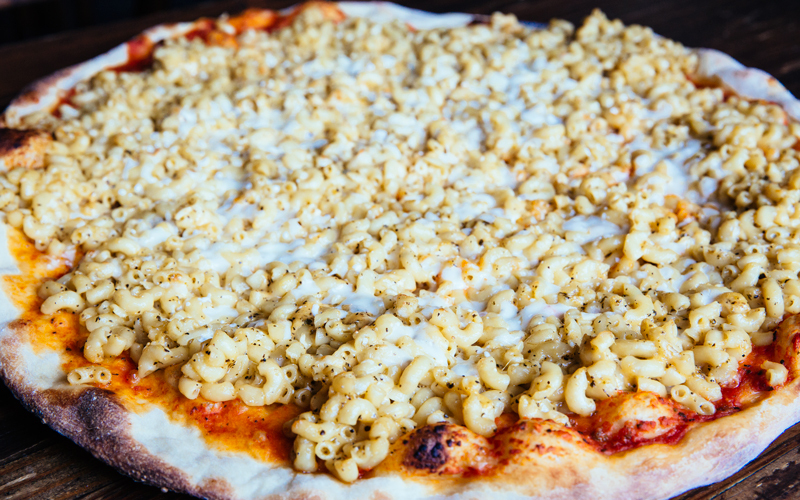 By some sort of wizardry, this vegan version of the Mac and Cheese pizza has sharp cheesy flavor, and the texture is creamier and cheesier than the original, which is next on this list. What sorcery is this? The buttery macaroni is piled high with a dusting of cracked black pepper. There is a lot of macaroni on the pizza, but the cheesy flavor is subdued. A few shakes of Parmesan is recommended. Though the name suggests heat, the salami isn’t spicy at all. It is, however, seasoned well and scattered across the pizza with mushrooms and ricotta salata. Here we have another semi-melting cheese situation. Unlike the non-vegan veggie pizza, this one lacks the texture, flavor, and gooey goodness of real cheese. But the veggies are vibrant and bold. Before we get into the pineapple-on-pizza debate, it should be noted that the smoky, salty ham on this pizza is worth a taste. 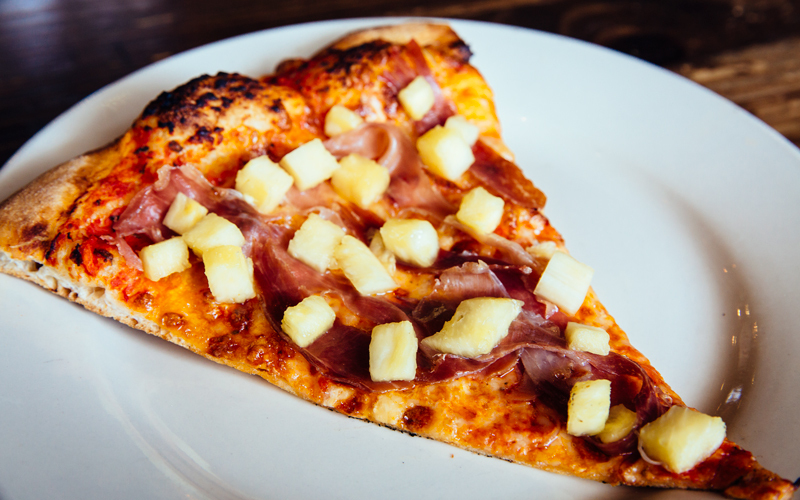 So…does pineapple belong on pizza? No. 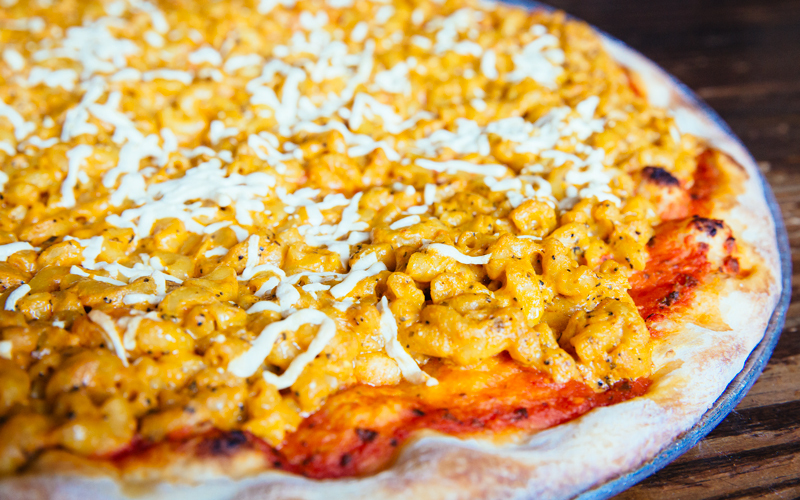 But does mac and cheese belong on pizza? Also no, but we’re still eating it. It’s as if a cheesy omelet landed on some dough, and they called it pizza. 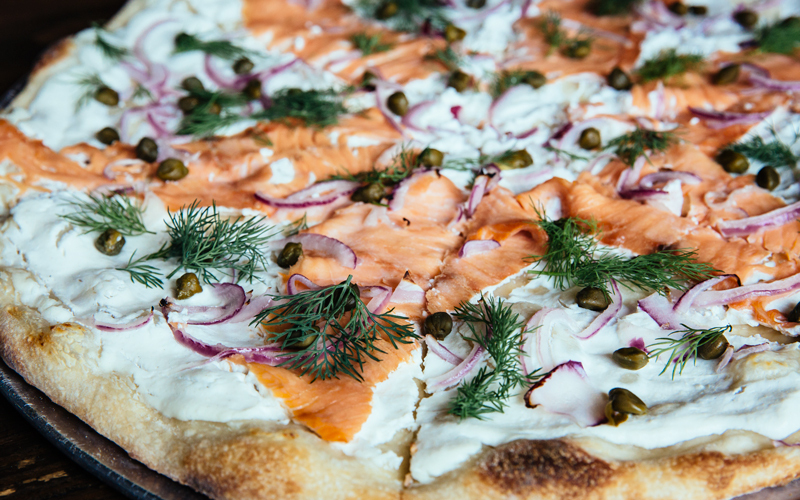 We can’t find any fault in the smoked salmon, ricotta, capers, or dill, but we could really use a bagel in this situation. The olives are briny, the spinach has a mellow bitterness, and the cheese has a strong funky flavor. Not the kind of flavors we’d expect or necessarily want on a pizza. We suggest pairing this with a white wine to cut through the tanginess. Pizzanista! is located in DTLA at 2019 E. 7th St. and in Long Beach at 1837 E. 7th St.
RELATED: The Best Chicago-Style Deep Dish in L.A.